Well, it's summer in Atlanta and it is indeed hot in here. But the insufferable Atlanta summer heat cannot take away from the fact that both Silverbacks teams are just as hot right now. 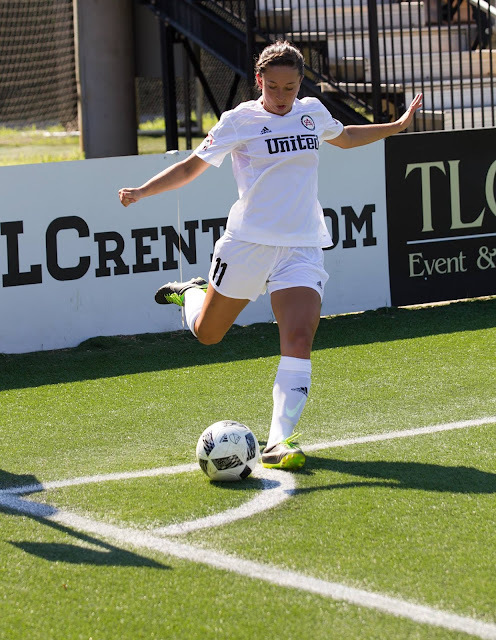 The women have continued their perfect season with wins over the undefeated Memphis Lobos, and Alabama FC. The Men have kept themselves alive in their quest for the South Atlantic Conference with two consecutive wins over Tobacco Road FC and Georgia Revolution. On paper, the women’s game against Memphis looked like the toughest game they would have to play this season. It was a little bit harder than other games had been, but they still won 2-0 pretty comfortably at Silverbacks Park. Three days later they played winless Alabama FC at Walton High School in Marietta. 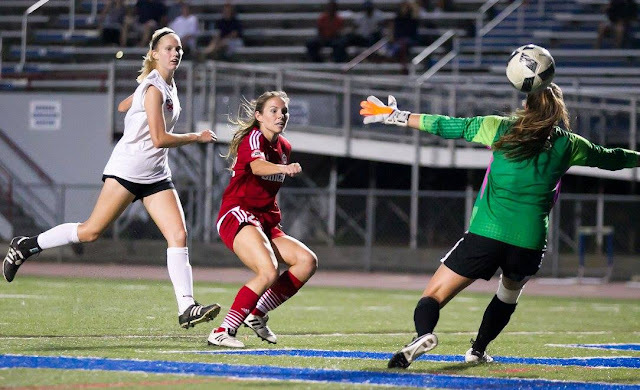 The Silverbacks went down 2-0 early to Alabama with two goals from their number 10, (whose number and name are listed together on the roster that is on the WPSL website), and a few great saves for their keeper early in the match. There were concerns that possibly they had underestimated the visitors from Birmingham. However, Atlanta came alive just before halftime with a goal to make it 2-1. In the second half, the Silverbacks scored three unanswered goals, ending any chance of an Alabama FC upset. It was a great team performance, but if there was one player that stood out, it was Brittney Reed. 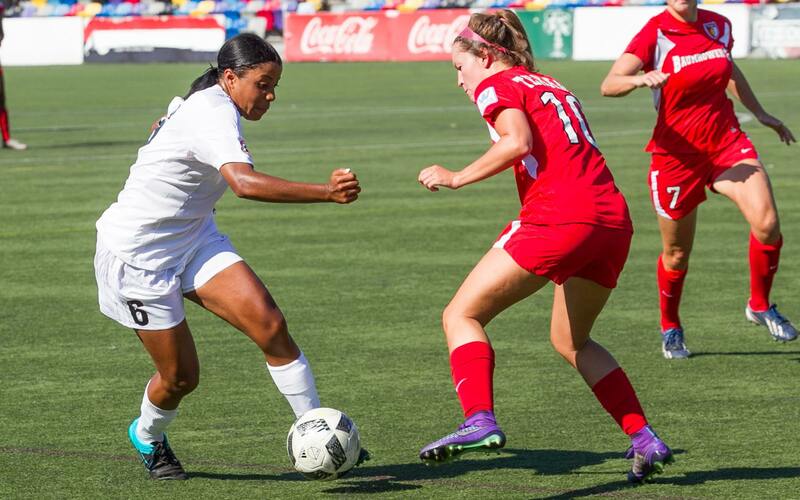 Reed plays her college soccer for Kennesaw State University, scored two goals and assisted a Jocelyn Baker goal against Alabama FC. Before playing for the Silverbacks, Reed played her third season with the Owls and scored six goals in the season opener against South Alabama, as well a goal and assist in the second game of the season against Georgia State. Unfortunately, her college season was cut short due to a knee injury, but she seems to have picked up right where she left off with the Silverbacks. After a comeback win against the Railhawks on June 12, the Silverbacks once again had to pull off a comeback after Joaquin del Rosario opened the scoring for Tobacco Road FC. Shortly after conceding, the Silverbacks were awarded a penalty when Johanning was fouled while trying to go around the goalkeeper. He then converted the penalty, for his fifth goal of the season. A few minutes later, Douglas Diwa scored what would be the winning goal. 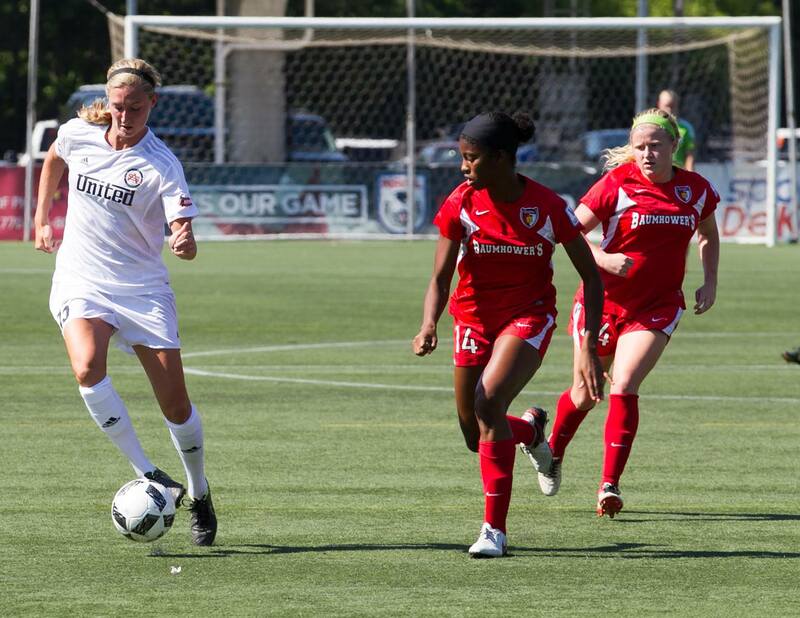 The Silverbacks did a good enough job defending to preserve a 2-1 lead until the final whistle was blown. 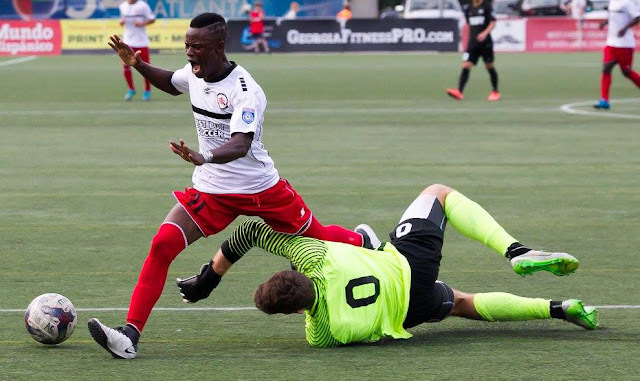 In the final home match of the season for the men’s team, the Silverbacks went head to head with the Georgia Revolution. This may be a bit harsh, but Georgia Revolution were abysmal this year. They had only managed one win and had a goal difference of -13 heading into the game. Their defense is shaky, their forwards aren’t clinical, and they don’t have much of a set piece specialist. One would expect the Silverbacks would take care of them with a fair amount of ease, and they would be right. It wasn’t quite the dominating performance Silverbacks fans were treated to in Conyers, but the Revs still didn’t have much of a chance. There had no quality chances in the first half for them, but at the other end, Johanning scored his sixth goal of the season in the 33rd minute. (As of June 28th, he still leads the NPSL South Atlantic Conference in goals.) In the second half, the Revolution played slightly better, emphasis on the word slightly. 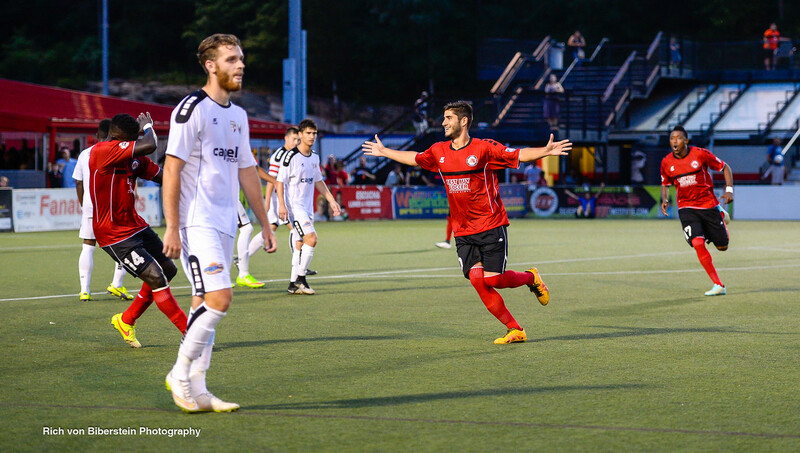 With the game winding down, the Silverbacks clinched it with a great goal from outside the box by Pedro Polaz. Pedro and Johanning have only scored in the same game twice this season, ironically both times coming against the Georgia Revolution. Now both teams have two games left to play. The Women take on Chattanooga FC on Thursday at Finley Stadium, and Knoxville Lady Force on Saturday at Silverbacks Park. The weird scheduling of the WPSL seems to have complicated things in the conference title race, but regardless the Silverbacks are in control of their destiny. Memphis Lobos have played seven games, but it appears their game against Gulf Coast Texans was postponed, and there has been no clear indication as to when it will be made up. It would be unthinkable that they wouldn’t make it up though. It doesn’t make too much difference because according to WPSL Law A6, Head to Head record is the tiebreaker, so as long as Atlanta wins one of their two remaining matches they will be WPSL Southeast Division champions. This means they could clinch it in Chattanooga on Thursday with a win. So maybe it’s not so complicated after all because all Atlanta has to do is win a game! The men will also be in action on Thursday and Saturday. They play Myrtle Beach Mutiny on Thursday at Ashley Booth Stadium and FC Carolina Discoveries on Saturday at Rock Hill Stadium. Both games are on the road, and Atlanta will most likely have to win both to win the NPSL South Atlantic Conference title. The Mutiny currently lead the Silverbacks by two points so if Myrtle Beach were to win they would clinch the conference, but if the game goes the Silverbacks way it would put them in the driver’s seat going into the last match. Regardless of how these next two games go, the Silverbacks are already in the playoffs and will be hosting at least one playoff game at Silverbacks Park. The conference title would obviously be a nice bonus. It’s hard to believe the season is almost over, but despite the short length of the season it has been full of excitement and these next few games shouldn’t be any different. If everything goes right, we could be celebrating two regular season championships for our Atlanta Silverbacks. It’s double the pleasure, and triple the fun! The Silverbacks have another doubleheader this Saturday. The Women’s team will kick off at 4 pm vs. Memphis Lobos, their biggest challengers for the WPSL Southeast Conference crown. Both Teams have perfect records, but just moments ago Memphis won their game against Chattanooga to go 5-0-0 with 15 points to Atlanta’s 12. Atlanta’s goal difference is 8, and Memphis’ is 7, so a win would put the Silverbacks in first with a game in hand. 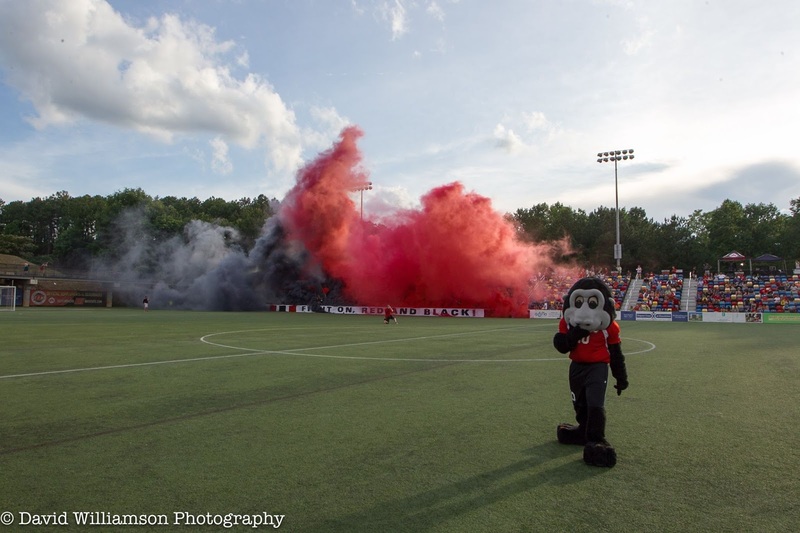 The night before playing the Silverbacks they were at Finley Stadium taking on Chattanooga FC, a match they won 3-1. Perhaps it is a little bit unfair and unnecessary for some WPSL teams to have to play two consecutive nights especially around this time of the year. Sure the WPSL has unlimited subs, but it still seems a bit cruel on the players. Thankfully, our women are not scheduled to play on back to back nights this season. With the unlimited subs rule, it’s up for debate whether or not fatigue will come into factor when Memphis plays Atlanta. We’ll see how their head coach Chrissy Strini approaches this game after the win against Chattanooga. During her playing career, Strini was a First Team All-SEC midfielder in 2005 and 2006 while playing for Ole Miss. I’m not sure how many people support the Lobos, but it seems that the people that do support them view them as being a fantastic team that can take on the world, or at the very least, the Southeast Conference. This would also be how Silverbacks fans see our women’s team. Both teams are locked in right now, and it’s hard to predict the outcome of a game between two teams that have been head and shoulders over the previous competition. All I can say is, get to the park early to watch it. It seems that the crowd for women’s game only consists of people who know the players, and of course members of Westside 109 and the Ultras. Everyone who has seen them play has been thoroughly impressed. Since club social media has dropped the ball on doing it, I will take it upon myself to urge all of you to see the women’s team in action, so you can see what the fuss is about. The second game would, of course, be the second place Men’s team. They play Tobacco Road FC at 7:30 in their penultimate home game this season (which is painful to think about). 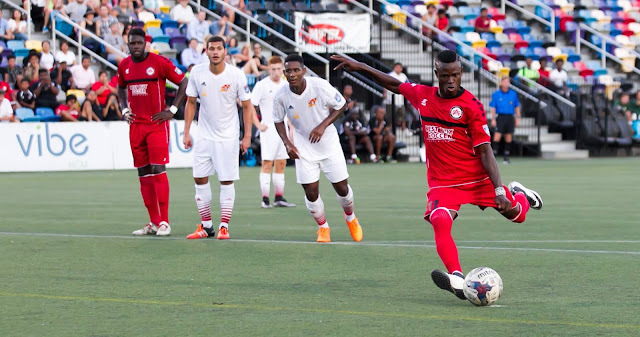 After Myrtle Beach’s midweek loss to Carolina Railhawks NPSL, the Silverbacks have a chance to reclaim the top spot in the South Atlantic Conference. The Mutiny would have to lose again on Saturday to FC Carolina Discoveries in Rock Hill, but most importantly the Silverbacks would have to take care of business. In their previous meeting, the Silverbacks were in control until Tobacco Road were awarded a penalty late in the game, that they converted. Since that 1-1 draw with the Silverbacks in Durham, they’ve been a little bit up and down. They got their first win on June 4th against the Railhawks by a score of 2-1, and then their second win came on Thursday of this week after beating Georgia Revolution 3-1 in Conyers. By scoring a brace against the Revolution, Cameron Moseley became Tobacco Road’s top scorer with three goals. Moseley currently plays his college soccer at Duke University and is originally from Duluth, Ga. This past college season he recorded a goal and an assist for the Blue Devils. After seven games Tobacco Road sits third in the South Atlantic Conference with 9 points and a record of 2-2-3. With ten goals scored they are about on par with the rest of the conference, but defensively they have conceded 11 goals. Only FC Carolina Discoveries (13) and Georgia Revolution (20) have conceded more. 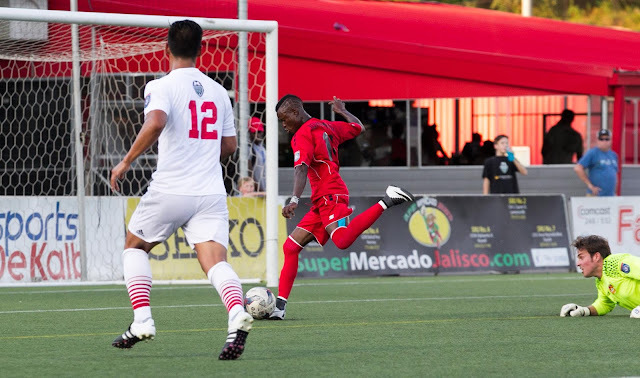 Considering the previous meeting between these two teams was only the second match for the Silverbacks, the attack has improved a bit since then, and perhaps it could be harder for Tobacco Road to handle than it was on May 22 in Durham. Stakes are high for both the Men and Women. For the Men, it’s a chance to be back in first place with control of their destiny if they take care of business, and other results go their way. For the Women, it’s a chance to prove that they are the real powerhouse of their conference by beating the only team that has matched their results up to this point. Get to Silverbacks Park by 4 pm to enjoy two intriguing matchups, as well as a temperature that is projected only to be in the low to mid-80s. There won’t be another doubleheader this season, and who knows how long it’ll be until we have a relatively mild day in Atlanta again. Take advantage of both on Saturday and Support YOUR Silverbacks, Men, and Women. Unless your schedule has forbidden you from getting to a game, or you’re just living under a rock’ you know the Silverbacks have a wonderful women’s team this season. 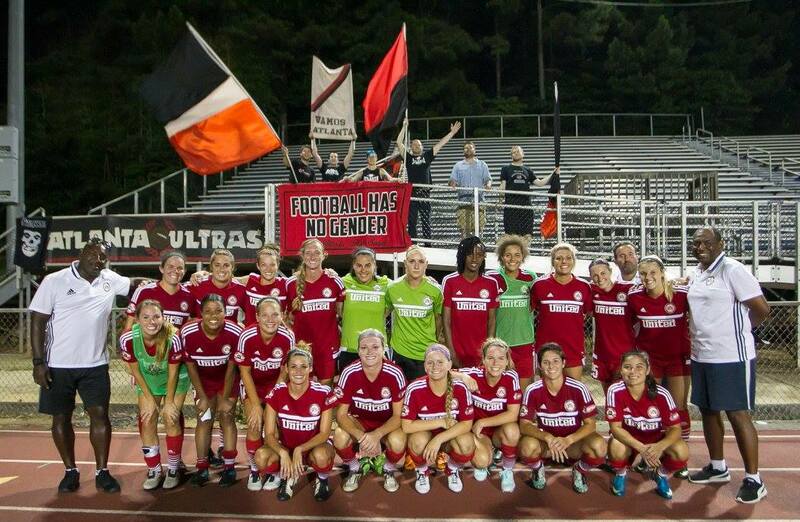 The girls in Red and Black have beaten every opponent they have faced so far, making them a perfect 4-0-0 with 12 points at the top of the Southeast Conference of the WPSL. 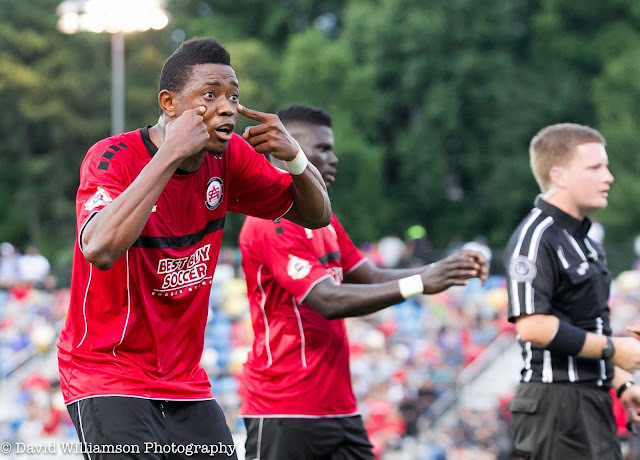 Their highest scoring game was a 4-0 win over Chattanooga FC at Silverbacks Park to start the season. Between their dominate performance against Chattanooga and their 3-1 win over Gulf Coast Texans (who are actually from Florida, as weird as that sounds) they have succeeded in turning Silverbacks Park into a fortress. Along with winning both games they’ve played at Silverbacks park they have only conceded one goal while playing at home, and scoring 7. Both of their away matches have been played in Tennessee. After thumping Chattanooga the weekend before, they traveled to Nashville and beat the Wolves 1-0 for their second consecutive clean sheet; they have not kept another clean since those two games but they have still been very solid defensively. Simply put, they're good. But the season hasn't been without nervous moments. 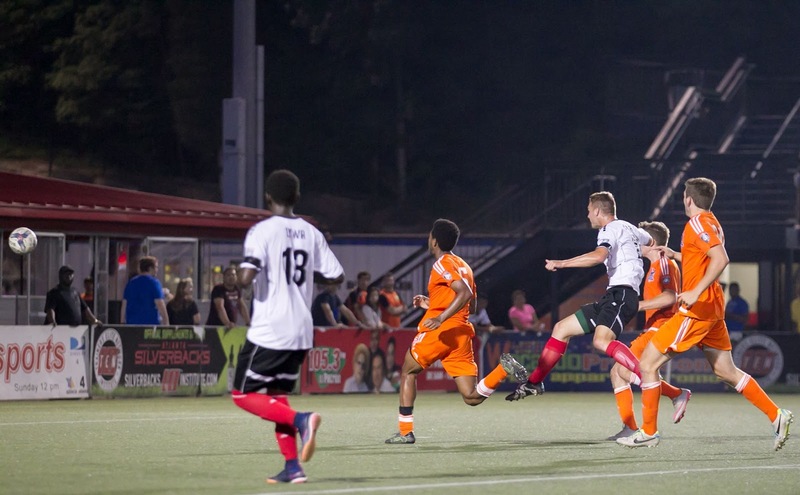 Last Tuesday in Knoxville the Silverbacks went up 3-0, but the Force scored two unanswered goals late in the game, one in the 85th minute and another in stoppage time to be exact. Atlanta’s goalscorers were Lizzy Shaughnessy, Jocelyn Baker, and Rachel Shah. As the old cliche goes, a win's a win, and all the Women have done is win so far this season. They have won even more than DJ Khaled (for those that don’t know he is the one that sings the song “All I Do Is Win) this season, and hopefully, this streak continues. Now the stage is set for Atlanta’s biggest challenge yet. The Memphis Lobos have also won every game they’ve played so far and are only behind the Silverbacks on goal difference. Before heading to Silverbacks Park for the doubleheader tomorrow, make sure you check planetofthebacks.com for a more detailed preview of both the Men’s game against Tobacco Road FC and the previously mentioned women’s game against Memphis Lobos. Coming off a disappointing loss against Myrtle Beach the Silverbacks had 2 games in 3 days, and 2 chances to erase the memories of that loss. The first game was on Friday, June 10 against FC Carolina Discoveries, and the second one was Sunday, June 12 against Carolina Railhawks NPSL. The game ended 2-2 but it was tough to swallow because both goals that the Silverbacks conceded were most likely avoidable if not for big defensive mistakes that left Bryce Billington without a chance on both occasions, as Carolina’s Daniel Revivo shot the ball past him. However the Silverbacks did not go down without a fight as Joao Johanning Mora scored two goals of his own. Perhaps a draw against the Discoveries was the most deserved outcome, and possibly it was a wake up call for the Silverbacks. When the Railhawks were in town it was a difference performance. The Railhawks still scored first with defender Chase Rhodes applying the finishing touch, however it wasn’t anywhere near as shocking as the goals conceded on Friday were. The Silverbacks equalized in the 73rd minute as Johanning scored yet again. After scoring three goals in two games Johanning brought his goal tally up to four, which was enough to overtake Pedro Polaz as Atlanta's top scorer. 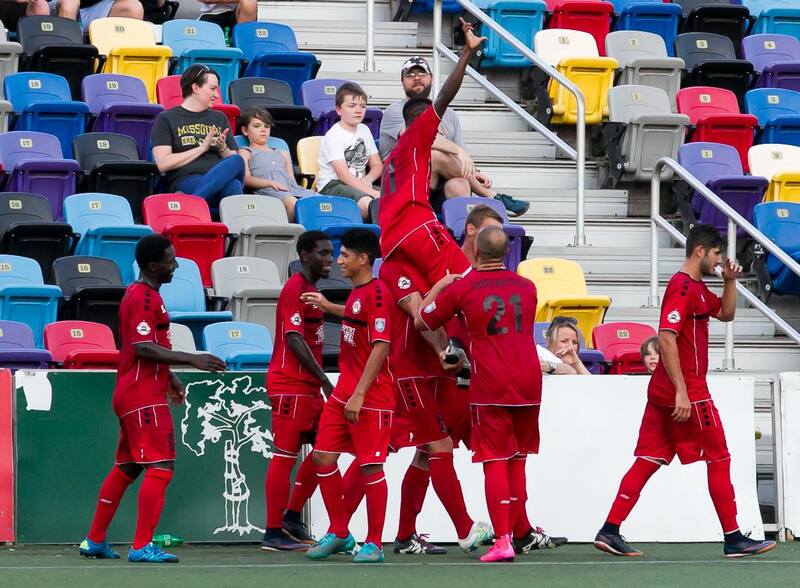 In the 77th minute Avery Shepherd scored the Silverbacks' second goal, which ended up being the game winner. The final score was 2-1. Shepherd, used three times as a substitute this season, scored his first Silverbacks goal by controlling a pass from a Johanning with his chest and rifled the shot past the Carolina keeper. Prior to playing for the Silverbacks this year Avery Shepherd finished his college career at Clayton State University in Morrow. As a Laker, Shepherd scored 23 goals in 34 games over 2 years. When you look at his college statistics it’s no surprise that he came up big for the Silverbacks on Sunday night and there’s reason to believe he can't score again during the season. At the other end of the pitch, Bryce Billington put in another stellar performance between the sticks. From my point of view, the Silverbacks have yet to come across a goalkeeper this season that ended up stealing points from them. Billington on the other hand, has stolen a few points from other teams this season. 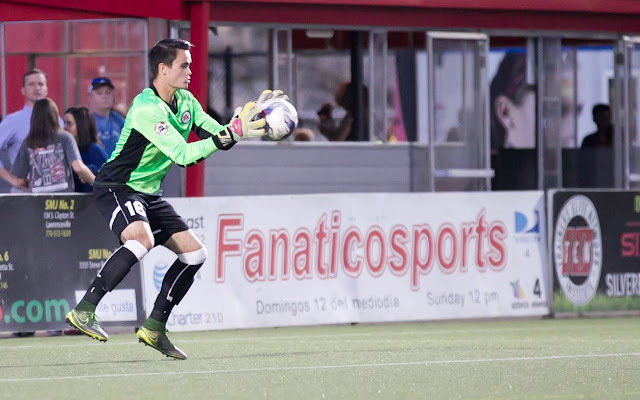 Between being a part of the team last year as the third choice goalkeeper in the NASL, and his performances in the NPSL this season Billington has become a fan favorite. As of the time I’m writing this, the Silverbacks sit second in the South Atlantic Conference. Myrtle Beach Mutiny are ahead of them by two points with a game in hand. Their game in hand is June 15th against Carolina Railhawks NPSL. If the Mutiny drop points it is possible for the Silverbacks to take control of first place if they also do their job by beating Tobacco Road FC. Later this week, look for a more detailed performance of both the Men’s game against Tobacco Road, and the Women’s game against Memphis Lobos this coming Saturday. 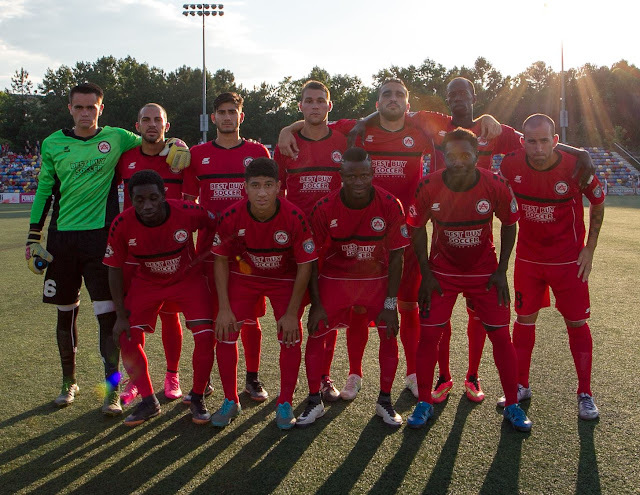 In somewhat controversial fashion, the Silverbacks fell 2-1 to Myrtle Beach Mutiny on Saturday night. After taking the lead off an own goal, the visitors got a lucky break when the Silverbacks had a goal ruled offside just before halftime, a decision many people in the stands disagreed with. In the second half, Atlanta would equalize on a goal scored by who else but Pedro Polaz. At this point, there are three things certain in life: death, taxes, and Pedro Polaz scoring a goal. The teams were then as equal on the scoreboard as they seemed to be throughout the game. Both teams were well prepared and were passing the ball around very nicely when they had possession of the ball. Things got a bit chippy in the middle of the second half, and the end result was a red card for Gabriel Obatola. Opposing players celebrating directly in front of our fans didn’t seem to happen too often during the NASL era, at least from what I saw. I recall last year seeing a video of a Railhawks player taking a bow in front of Westside 109, after scoring one of the luckiest goals I’ve ever seen no less, but most of them were smart enough to just embrace their teammates and jog back to the other side of the field for the kickoff. As you can imagine this action was not taken too kindly to by the Ultras. There was a lot of double angry birds and booing, and when the other fans in the stadium realized what Juul was doing, they joined in with the booing too. The top spot of the South Atlantic Conference was at stake. As you can imagine with a few controversial decisions against the Silverbacks from the refs, as well as, the little bit of arrogance from the Mutiny, this loss was a bit hard to swallow. But as the old saying goes, “onward and upward!” Both Silverbacks teams are in action this Friday at Silverbacks Park in what is bound to be a fun doubleheader evening. The Women’s team starts it off against Gulf Coast Texans at 5 pm. The Texans are coming off a win 2-1 over Chattanooga last Saturday and sit third in the Southeast Conference with four points. Gulf Coast has been dealt a pretty rough hand because after Friday’s game in Atlanta, they have a home game against Memphis on Saturday. Yes, you read that right. They play two games in as many days, and to add insult to injury, they are against the second place team and the first place team. There are several possible outcomes that can come from this weekend’s games. The best case scenario is that the Silverbacks beat Gulf Coast, who then go on to beat Memphis the next day; this would put the Silverbacks at the top of the conference with a game in hand. The second part of the doubleheader is the men taking on FC Carolina Discoveries, who currently sit in 5th place with 5 points. Their only win came against the Georgia Revolution on May 25th. Their joint top scorers are Adam Brundle and Achille Obougou with two goals each. Their last game was a 3-1 loss to Carolina Railhawks NPSL on June 2nd. The games taking place are tremendous opportunities for both Silverbacks teams. Myrtle Beach is also in action on Friday in Durham against Tobacco Road FC, and if they lose that could open the door for the Silverbacks. A good crowd was on hand at Silverbacks Park on Saturday for the men’s home opener, and it would be great to keep that going on Friday. If you can, try to make it in time to watch both games because regardless of whether they win or lose, both of our teams know how to put on a good show. The home opener is finally upon us. The Silverbacks take on Myrtle Beach Mutiny in yet another battle for first place in the South Atlantic Conference. Both teams have 7 points this season after two wins and one draw each. Myrtle Beach Mutiny were in action on Thursday against the Georgia Revolution and one-upped the Silverbacks by winning 4-0 in Conyers. The goals came from Kieran Geldenhuys, Richard Juul, and two from Jon Ibarrondo who became the Mutiny’s leading scorer on the season with three goals in total. This scoreline brought the Mutiny’s goal difference to +6, which is two better than the Silverbacks’ +4. The Silverbacks have not played since their May 24 win over Carolina Railhawks NPSL. Kemar Brown, who was injured in the US Open Cup game against Reading United, has been training and seems to have fully recovered in time for the home opener like he said he would. We will find out in a timely manner if he is in the starting lineup. A few names that seem to be locked into every starting lineup as long as they are available for selection include Abu Tommy, Pedro Polaz, Johanning, and Gabriel Obatola. These four players have started every game so far for the Silverbacks. Douglas Diwa has played in all three games but didn’t come onto the field until the 80th minute against the Georgia Revolution. It could be said that it’s too early in the season to be jumping to any conclusions, but believe it or not the halfway point of the season fast approaching. After June 10th every team in the South Atlantic Conference will have played five of their ten games. Right now it seems that the Silverbacks and Mutiny have been the two most consistent teams, they have both shown that they are capable of winning whether it be beautiful or ugly. If there is a winner on Saturday between the Silverbacks and Mutiny, they will gain the high ground over their opponent, and if their consistency is sustained they could possibly start to run away with first place. Trust me when I say I’m not trying to hype this game up for no reason apart from just generating excitement. With the short schedule of the NPSL, every game really matters. It’s exciting but also a bit nerve racking at times. It is definitely still too early to say this game could make or break the Silverbacks’ season, especially since there will be a second game between these two teams. Stakes are still pretty high nonetheless. When it is all said and done on Saturday, the Silverbacks will be chasing Myrtle Beach for the South Atlantic Conference crown, or they can look in their rear view mirror and see every other team in the conference chasing them. Make your way to Silverbacks Park on Saturday, find a seat that you like, and be in that seat at 7:30 when the game kicks off. Trust me; you don’t want to miss this.